Agriculture is an important factor in the Algerian economy. It is one of the government's priorities in order to diversify its economy that still dominated by oil production. Although huge financial resources and many reform policies and public investments, the Algerian agriculture still struggles to develop. In fact, Algeria is still suffering from the problems of the agrarian sector more than ten years later to make progress on the road to food self-sufficiency. Even the Ministry of Agriculture, and since 2000, had set up a National Agricultural Development Plan, including measures to improve the country's food security, increase employment(25%) and increase incomes in rural areas to develop and intensify production chains, adapt cropping systems, reforestation, development of land through participation of local people, reduce water losses and support local micro-irrigation, protect the steppes and fight against desertification, rehabilitate oases …However, it doomed to failure. Algeria is a vast country that possesses all the adequate elements to make agriculture prosper. It has a real agricultural potential that could produce fruits, potatoes, vegetables, dates, livestock production and poultry farming... 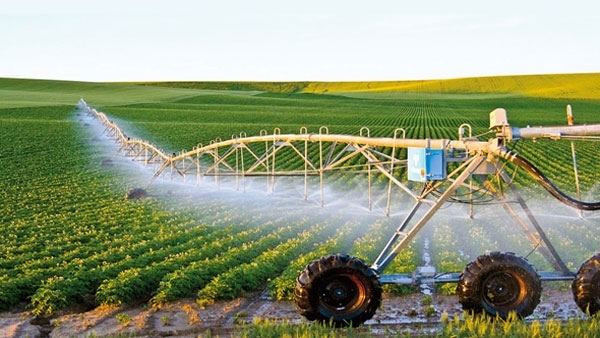 However, The Algerian agricultural sector suffers from low productivity due to several factors; lack of water which is considered essential to any agricultural activity and the productivity is highly depending on the climatic conditions(varies according to the rainfall), old-fashioned irrigation systems low investment, poor infrastructure, lack of training of human resources, management difficulties, etc. Thus, Algeria has to import massive cereals and milk. These two products prevent it from achieving food self -efficiency (spending around 4 billion each year). Algeria is the largest importer of agricultural products, especially cereals, in Africa and in the world because its domestic production is very limited and insufficient to meet the needs. It is mainly destined mainly to feed the population which witnesses a rising demographic growth each year. Besides the cereals (barley, wheat, maize, flour), Algeria imports large quantities of milk ;the need is imported in the form of powder . Algeria has also become a recent exporter of potatoes. Its main suppliers are France, Argentina and Brazil. In Algeria, it is the private sector that largely predominates agriculture. The private dominance of agricultural property and available capital is increasingly encouraging foreign investors from all over the world particularly from France, Italy and Spain, in attempt to promote agricultural sector. The cooperation includes the transfer of know-how in the fields of agricultural mechanization, seed development, soil fertilization, storage and Saharan agriculture. There are numerous examples of the creation, in collaboration with certain French producers; in the Kabyle regions , in particular, large private companies Cevital, Danone, Soummam, Ifri ,and so on, had been established. Dependence on food imports, mismanagement and dilapidation of irrigation systems, degradation of infrastructure, shortages of consumer products, farmers' distress, etc. Such are the evils that eat up Algerian agriculture .As a result, the needs are far from being covered, even in a favorable year when the country get a self-sufficiency in any agrarian product, it depends on the importation of the inputs necessary for its functioning .To sum up, Algeria is very far from ensuring food self-sufficiency while the price of fresh agricultural products is one of the main sources of the inflation reducing purchasing power, specifically, in Ramadan.